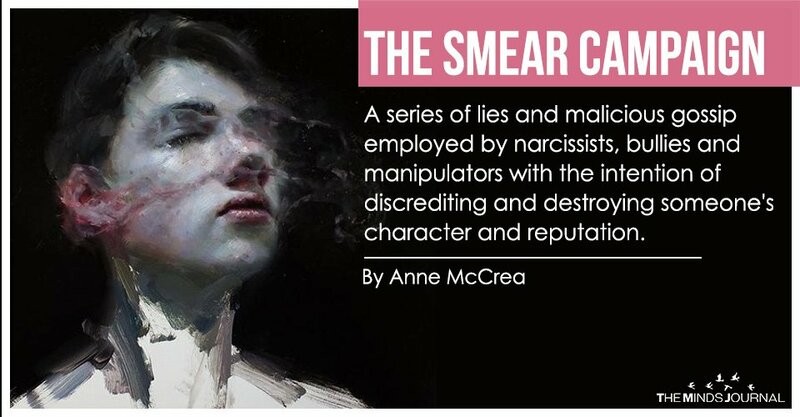 Narcissists use a calculated (and effective) series of lies and gossip to deliberately bring their target down and make themselves look good. Why? There can be many reasons such as you seeing them for who they really are, to discredit you should you decide to expose them, jealously, a relationship coming to an end, not giving the narcissist enough attention or a simple disagreement. The victim of a smear campaign often finds themselves isolated and or ostracised by family and people who they once thought of as friends. By the time the victim finds out about the back-stabbing and betrayal, it’s too late, the damage has been done. No one believes them. Their credibility has been undermined, their character assassinated. The narcissist has painted a dark picture of their target and any denials only add fuel to the narcissist’s version of events. Maintaining their image is paramount. They’ve done this before and are well practiced in manipulating and controlling people. Practice makes perfect and sadly they are often believed. Make no mistake, the narcissist knows their target is a good person. They know exactly how they are making their target feel by their betrayal. They simply don’t care as long as they, themselves, come out of the situation smelling of roses. Some will take great pleasure and feel a sense of power by simply knowing that they are the cause of another’s pain and emotional distress. 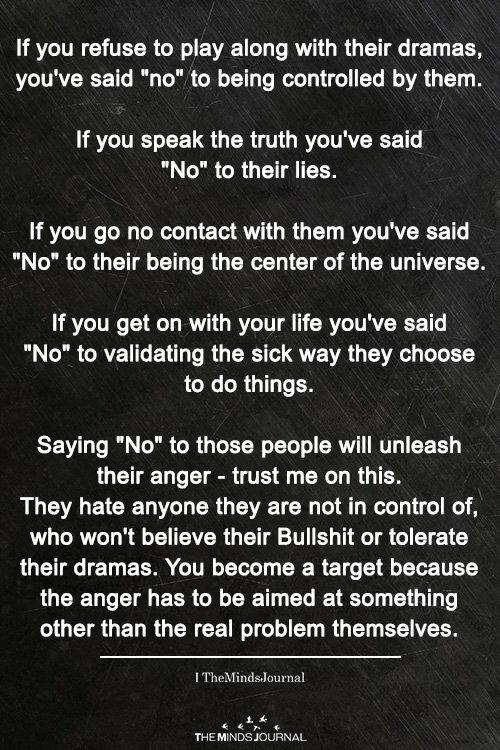 By their manipulation, they are in control of their target’s emotions and of their relationships with others. They display absolutely no remorse or shame in the psychological harm and trauma that they cause to their victim unless of course, they are caught.